Absolutely Fish‘s Aquaculture facility is a 5,000 square foot center for promoting sustainability within the aquarium hobby. 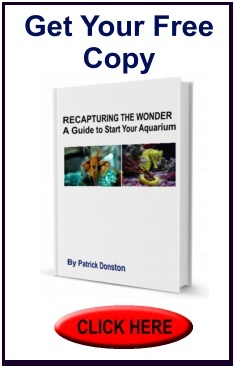 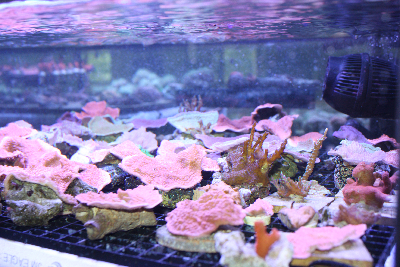 Between more than 50 tanks, there are 6,000 gallons containing over 60 species of hard and soft corals, numerous plants, 25 varieties of freshwater fish and three distinct freshwater shrimp species. 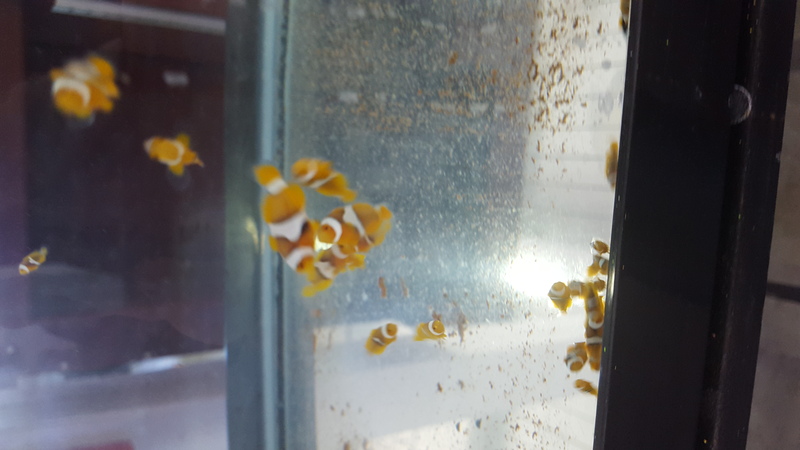 These animals are kept in pristine conditions which promote breeding and raising of tank-raised specimens for sale in our store. 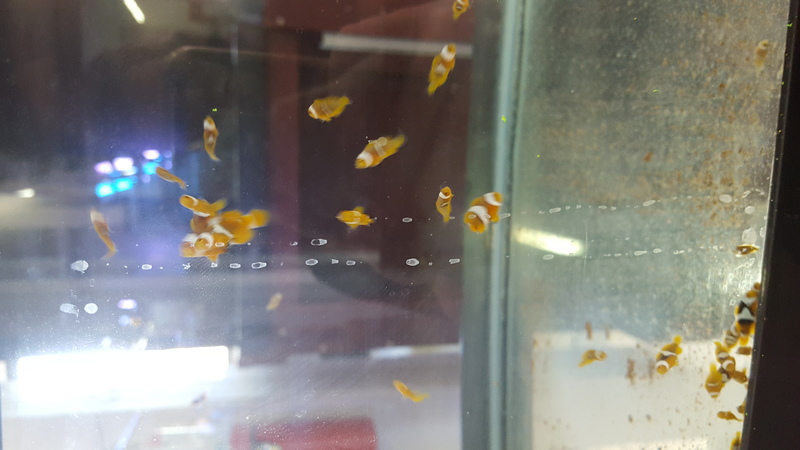 “Education, conservation, the art and science of fish keeping, is our passion and what defines us.” In keeping with our mission and vision, it is important to provide sustainable and humanely bred species of animals and plants for our customers. 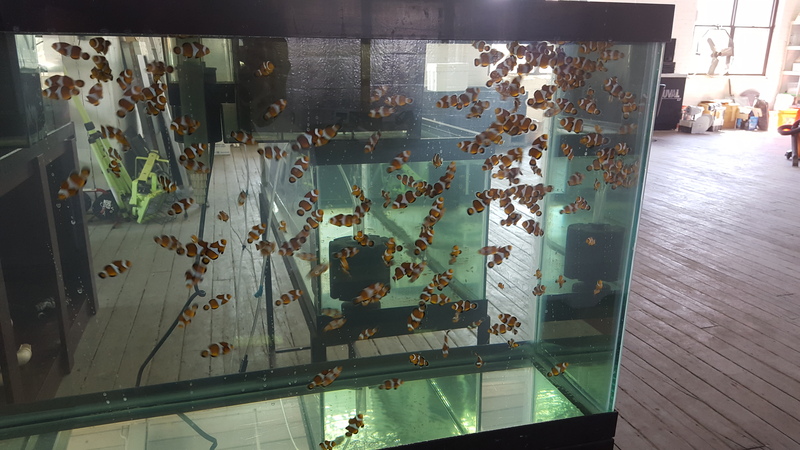 By breeding and cultivating animals within our Aquaculture Facility, we have a direct impact on the environment and reduce the need for wild-caught specimens — leaving more animals in the wild for future generations. 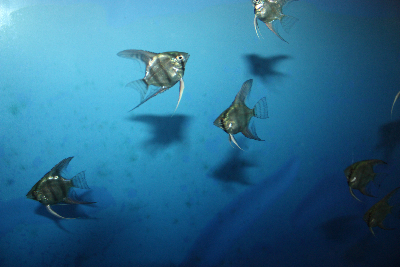 What Should Sustainable Really Mean? 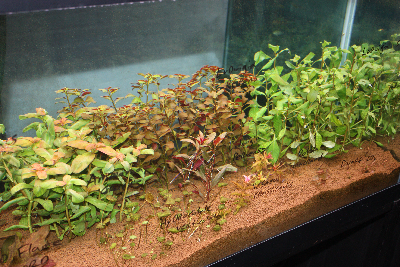 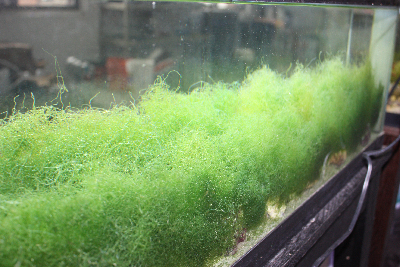 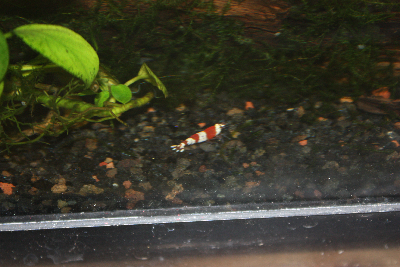 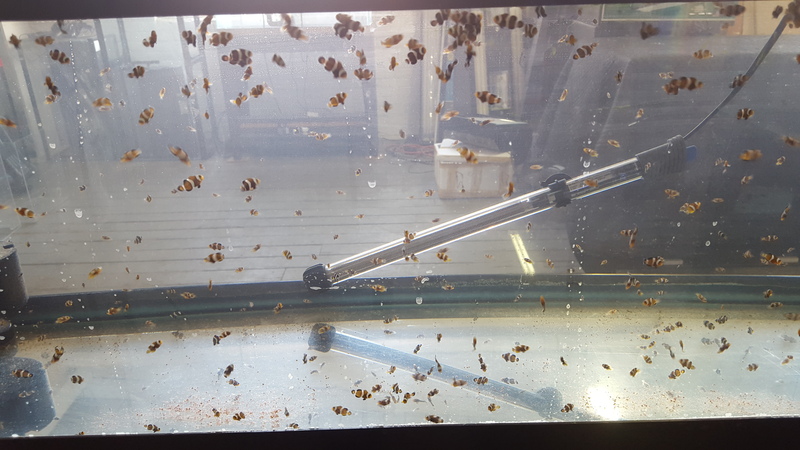 A ton of freshwater breeding projects are under way, with healthy babies arriving into the store every week! 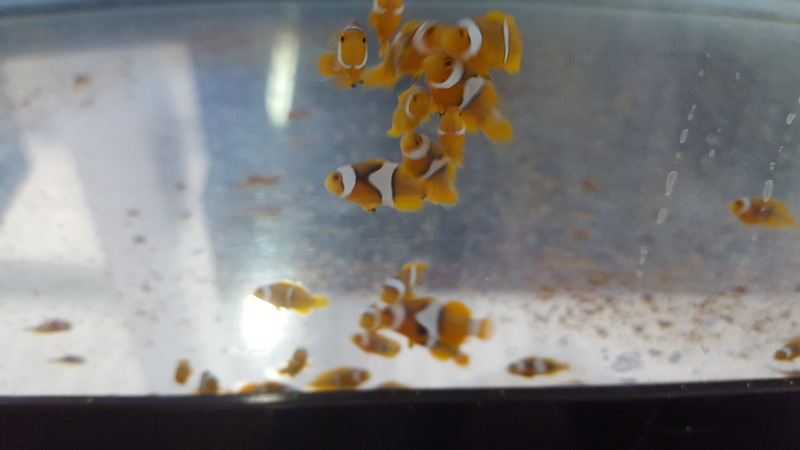 We’ve bred and sold our own Freshwater Angelfish (Pterophyllum), Honduran Red Convicts (Amatitlania nigrofasciata), Red Head Tapajos (Geophagus sp. 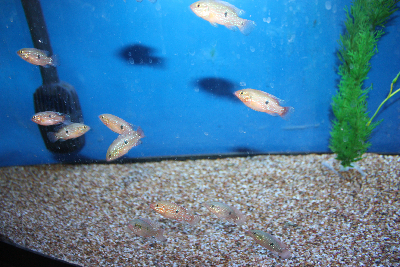 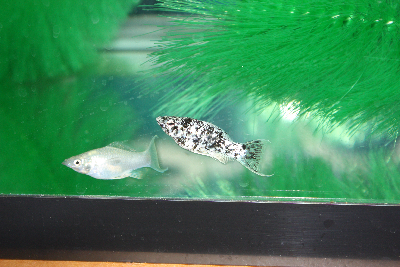 ), Kribensis (Pelvicachromis pulcher), Yellow Labs (Labidochromis caeruleus), OB Peacocks (Aulonocara sp. 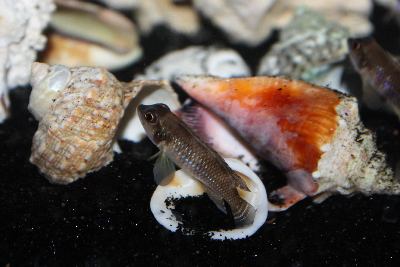 ), Fire Red Apistos (Apistogramma cacatuoides), German Blue Rams (Mikrogeophagus ramirezi), Electric Blue Acaras (Andinoacara pulcher), Belenosox (Belonesox belizanus) and other species of Poeciliidae! 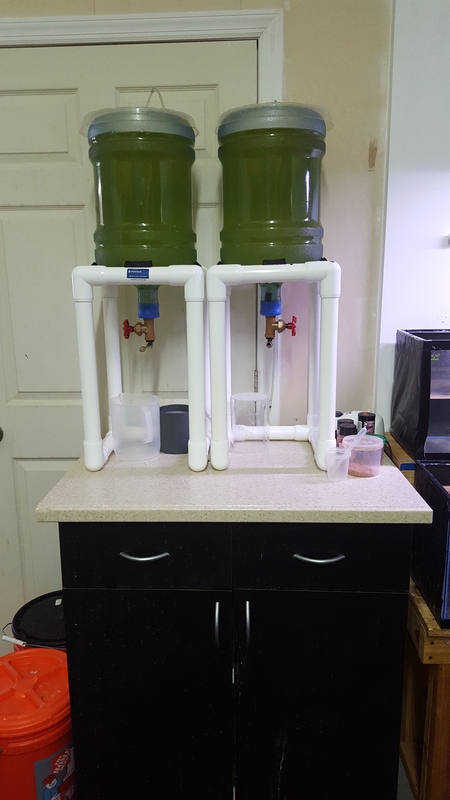 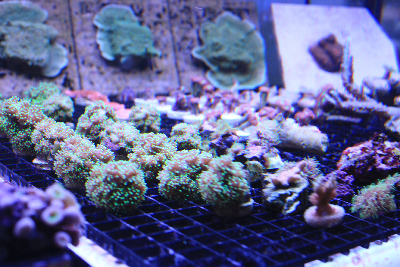 Currently at Absolutely Fish, we are trying new techniques for growing rare macro algae and corals! 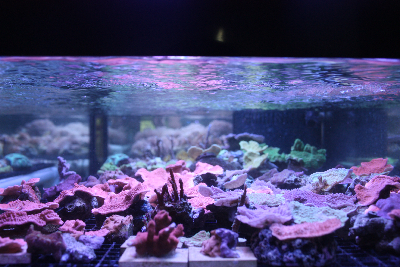 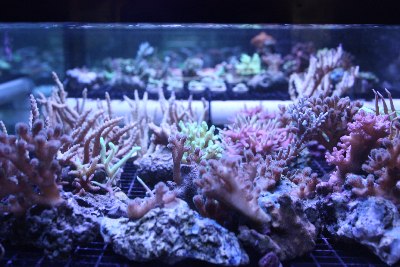 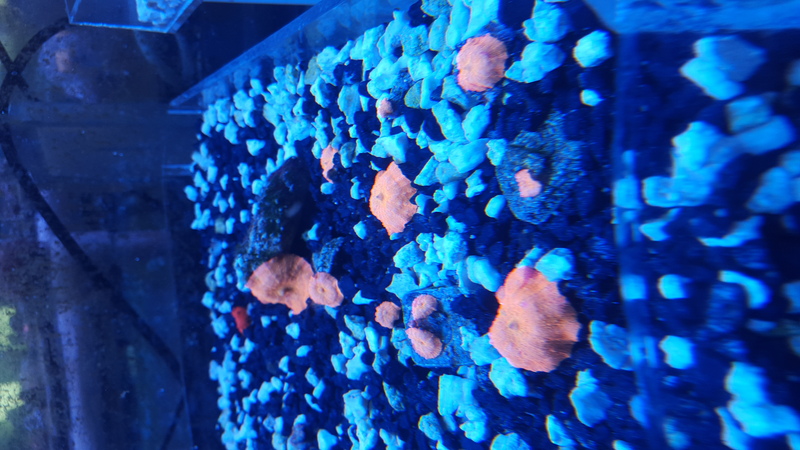 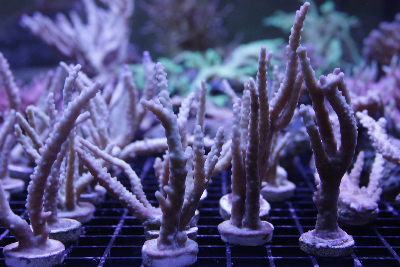 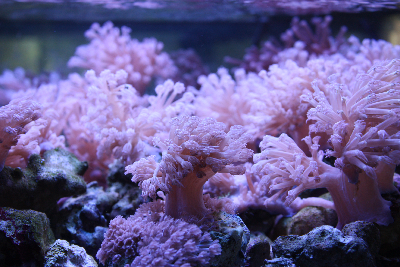 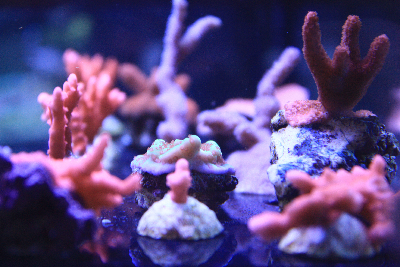 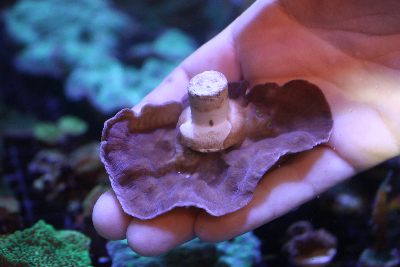 You can now find some of our Aquacultured coral frags for sale in the store. 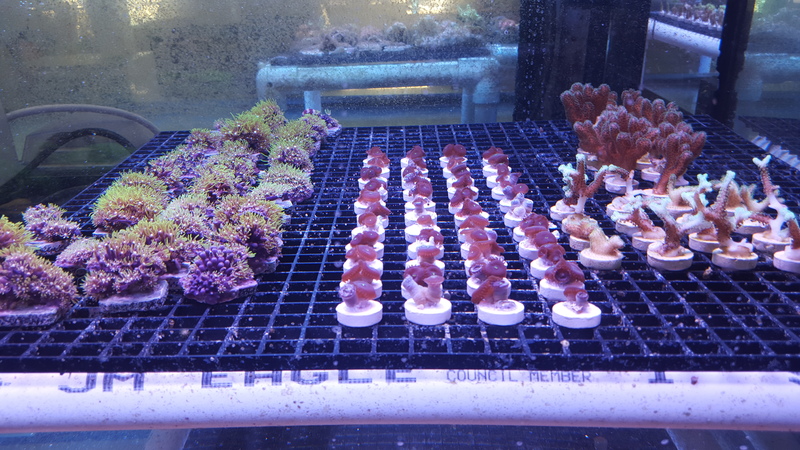 We are so proud of all the hard work that has gone into raising these animals! 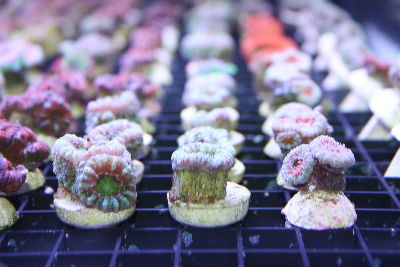 We’ve cultured and sold over 30+ species of LPS (Acan. 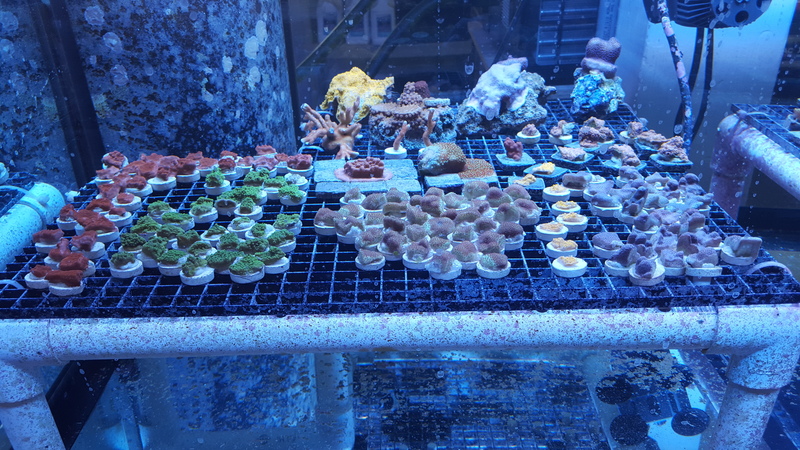 echinata, Acan Lords, Brains, Blastos, Cups, Duncans, Elegance, Fox Corals, Galaxy, Gonipora, Hammers, Torches, Slippers, Trumpets, etc.! 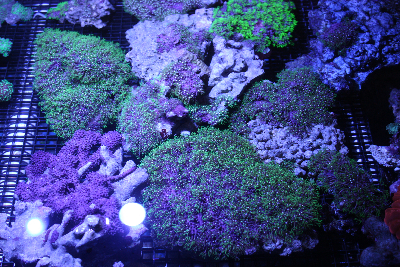 ), 30+ species of SPS (Acros, Birdsnests, Chalices, Cyphastreas, Monties, Seriatopora, Stags, etc.! 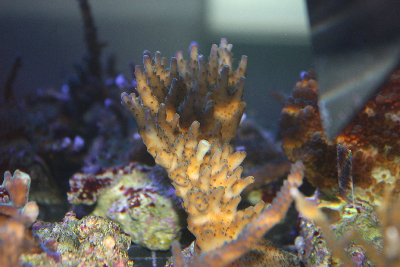 ), Anemones, Cespitularia, Leathers, Mushrooms, Star Polyps, Xenia, Zoanthids, and many more! 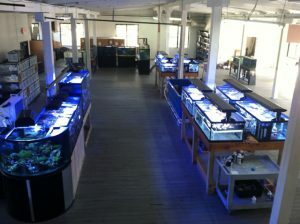 We have many great plans for the future and we cannot wait to post updates. 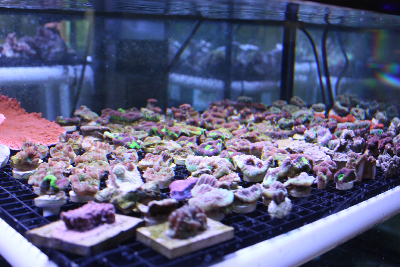 We appreciate the support of all our hobbyists and their interest in sustainable fish keeping!